Dogs can suffer from various different issues and conditions, and this is something that can be extremely difficult for a pet owner to see. A vast majority of dogs, no matter if they are small, medium or large breed dogs, do suffer from the type of joint pain that is usually associated with joints and hips, and especially when the dogs get older. Many dog owners unknowingly go to the veterinarian and spend thousands and thousands of dollars in order to get surgeries and drugs for their pets (even though these actions may eventually prove to be highly problematic and unhealthy for your dog); while they could have just relied on the dog food supplements that are of completely natural substance, and that can really help with the pain that is usually associated with joint function and hip issues. Liquid Health K9 Glucosamine hip and joint formula is just one of the various food supplements that you can find out there, and that can really help with your dog’s pain. And that’s not all this joint supplement for dogs can do. Dogs are very well known for their dislike of the chewable tablets (soft chews) and a dog will do everything it can in order to avoid them. They just don’t want to eat something that they do not find attractive; mostly because it’s not delicious. Even if you try to hide the tablets in their own food, there are many different pet supplements that will just be eaten around. However, when you use this particular formula, you will never encounter such issues, and your pet is going to eat all of the nutritional supplements, mostly because of the fact that they are nonintrusive and do not taste bad. It should also be mentioned that this formula comes in liquid form, and not in tablets, which makes it easy for you, as a dog owner, to give it to your dog, and make sure that he is going to intake it. So, if you wish to use this product, you just have to mix it together with the food you have prepared for your dog, and you’ll never have to worry if your pet’s going to eat it. Also, when your dog eats this supplement, you will not have to worry about your pet experiencing any form of nausea or indigestion. This pet supplement will settle easily on their stomach, and this happens because the hip and joint supplement for dogs binds with their food. 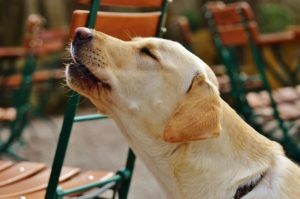 Basically, there will not be any discomfort experienced by the dog, and what’s even better is the fact that your pet won’t even notice that he is being given his daily set of nutrients. There are some things that you ought to know before you set out to buy this amazing Liquid Health K9 Glucosamine joint formula, and that is the fact that it is not that effective when it comes to large dogs. This is because the concentration in this product is a bit low, though this company does make products that offer a lot higher concentration, and that would prove to be a lot more effective when it comes to the bigger dogs. However, it should be pointed out that the smaller and the medium breeds of dogs are going to experience a huge number of benefits from this product, because it offers the perfect amount of concentration for this kind of a product, making it hugely efficient. There is one more benefit that this product has to offer to both the dogs and the dog owners, and that is the fact that the pets that take this product will not have to take medications that have been prescribed to them in order to combat the problems with their hips and joint function. 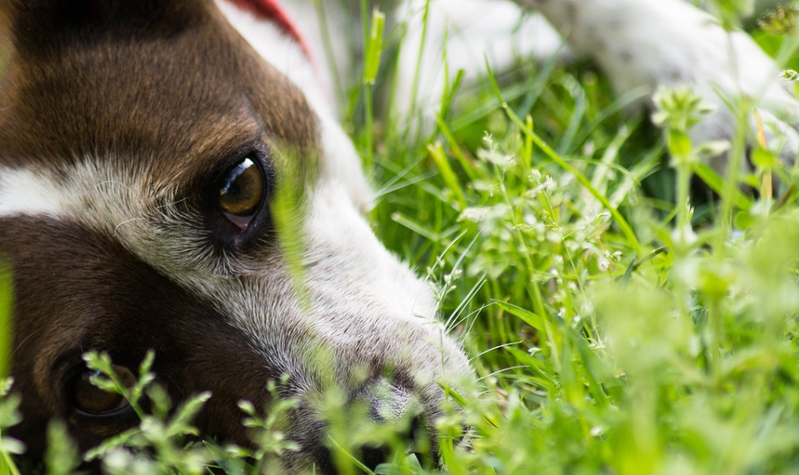 Most medications that are being given to dogs to help fight these conditions tend to cause some health issues, with the stomach problems being one of the most frequent. This later leads to more and more visits to the veterinarian, huge joint pain for the dogs, and a lot more money waster for the dog owners. 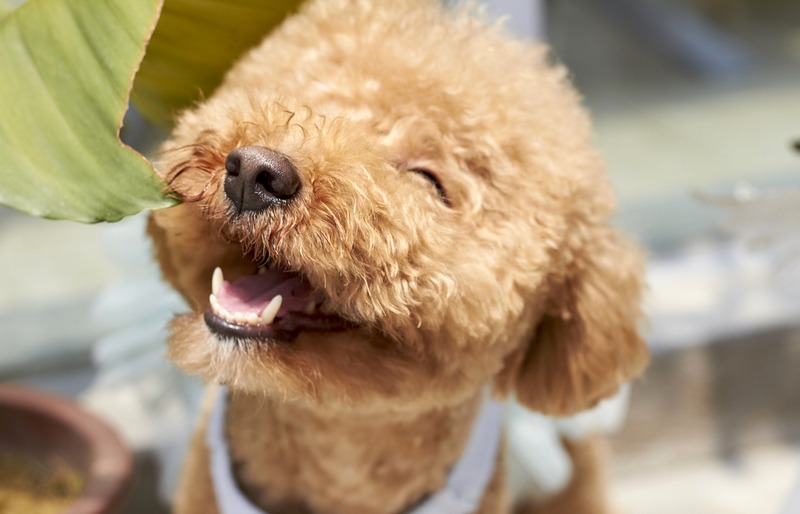 By using this natural substance, you will experience a huge number of benefits than drugs can offer, and besides that, this supplement is a lot healthier for your pet. It also goes without saying that these pet supplements are a lot cheaper than medical drugs. 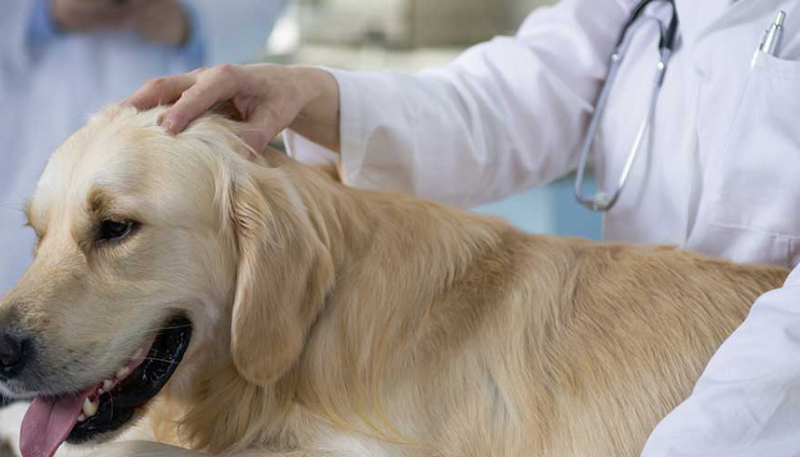 A lot of dog owners have told us about all the money they have to spend in order to take their dogs to the veterinarian, and in order to get the proper treatment for their pet’s issues with the hips and dogs joints. But now, you no longer have to worry about spending thousands and thousands of dollars on this; you will no longer have to take your dogs to x-rays, to surgeries, to buy prescription drugs, etc. You’ll just spend a small amount of money on this product, and keep your dog protected, healthy and offer him a permanent treatment in the form of this supplement. 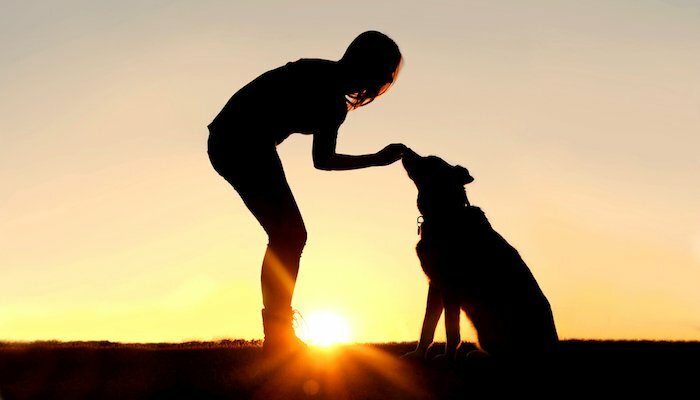 One of the most important things you have to do if you are a dog owner is to help your dog get rid of the joint pain related to the connective tissue and the cartilage around the dogs joints and the hips, but you’ll also have to make sure that your dog does not ever start feeling that pain, and especially that your dog does not feel the pain while his body is healing. This is where Liquid Health K9 Glucosamine joint formula comes in handy because it helps out with all of that. The formula used in this product manages to help reduce the inflammation all around the most sensitive areas, and in that way, the dog can be a lot more flexible, and a lot more mobile, as every dog should be. This will allow the dog to start moving around a lot more freely because the joint pain is going to diminish as soon as the inflammation gets subsided. This is exactly the thing that allows for these pet supplements to be a lot better than the traditional medicines or drugs. This Liquid Glucosamine for Dogs is the perfect formula to use in order to reduce the inflammation that can affect the dogs, and that can at the very same time, help with the hip and joint function issues. With other methods that some dog owners employ, they might have to give a huge number of various medicines and drugs to their pets, and all of that in just one day. This is something no dog should go through, and that is exactly why many of them see this product as a real life saver. Some people are impatient and want to see the results the very second they give this formula to their pet the very first time. 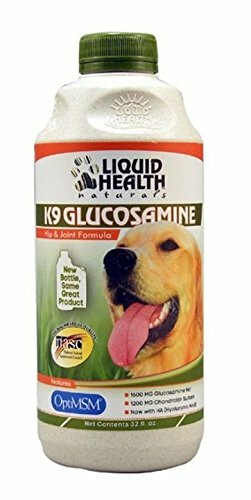 Well, when you start giving Liquid Health K9 Glucosamine for dogs, to your pup, the first results won’t start showing instantly. 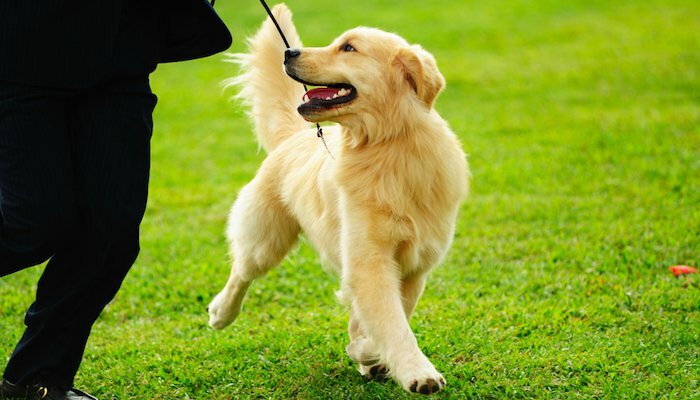 The glucosamine that you are going to give to your dog takes some time to start working, and that basically means that the first results can be expected in about one month. Even though there were some dog owners who have claimed that they have had to wait a lot longer for their dogs to start exhibiting the very first benefits of this formula, the fact remains that the product does work and that their dog did feel relief. However, even when the first results start showing in about a month, this does not mean that your dog is going to be completely pain-free in that time; the dog will be pain-free after about 2 months of the use of this product. After that, they should be able to return to their daily activities – activities that make dogs happy and that fulfill their lives. There is one more benefit that this formula can provide your dog with, and that is the fact that Liquid Health K9 Glucosamine for dogs can be used to treat several other things, most importantly long-term health issues and the detriments from injuries. Some pets are predisposed to experience the joint pain in their hips and dogs joins, while others just experience some kind of injuries – this formula can help both of them! This is a great opportunity for all the owners of the pets because it can provide them with the possibility to join this revolution of the way their dogs live and the way they heal. And finally, the last note – when you start using this product, you will no longer have to go to the vet in order for him to repair any pre-existing condition of your dog. No matter what the problem is, this formula is going to help your dog our, and provide his body with all the necessary nutrients and support in order to help rebuild the healthy cartilage that is going to be fully reliable, and last for the rest of your pet’s life. What’s amazing about this product is the fact that you can use it as a preventive measure, which can boost your dog’s pre-existing support for the cartilage. To read more on how Glucosamine can help dog join pain – read this study here. I have a lab suffering from joint pain. The glucosamine looks to be helping – thank you.